We knew about the Great Ocean Walk and found Walk91 through an internet search. I called you last year to get advice on the best time to do the walk, and you recommended this timing for the best experience. The itinerary was very well planned – daily start and finish times were realistic, allowing plenty of “rest” time. The first day briefing was excellent. We had done a lot of research, however it was essential to get those extra tips, particularly regarding beach crossings etc. The directions were clear regarding meeting spots each day and the transport was ready to meet us every day. The shuttle bus drivers are a great source of local info and very entertaining after a long day on the track! If not camping, it’s great to carry a small gas canister and burner in a day pack for a hot drink enroute. Carry a map – we were the only ones we saw on the track using the map enroute. It’s much more enjoyable to get track and area info as you go. Here’s a tip we’ve shared with fellow walkers on every walk we’ve done here and overseas – the foolproof anti-blister trick. Rub your feet all over with Vaseline BEFORE putting on your socks. Make sure you put plenty on, concentrating on the toes and in between, the heels and ankles. Put on your socks immediately, then boots. You may still get sore feet or bruises, but will never get a blister! Walk 91 is an excellent very professional tour operator and one that I’ll definitely recommend. It’s not cheap, but good value for the service and facilities provided. It’s reassuring to have a local company that has the area knowledge and is available for any emergency. We appreciated you doubling back to meet us on Day 3 to check our progress. 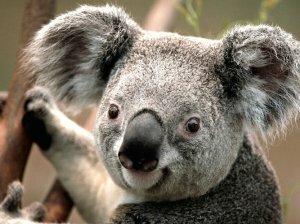 We heard of Walk91 and the Great Ocean Walk on the internet, the wonders of Google and also through a friend. 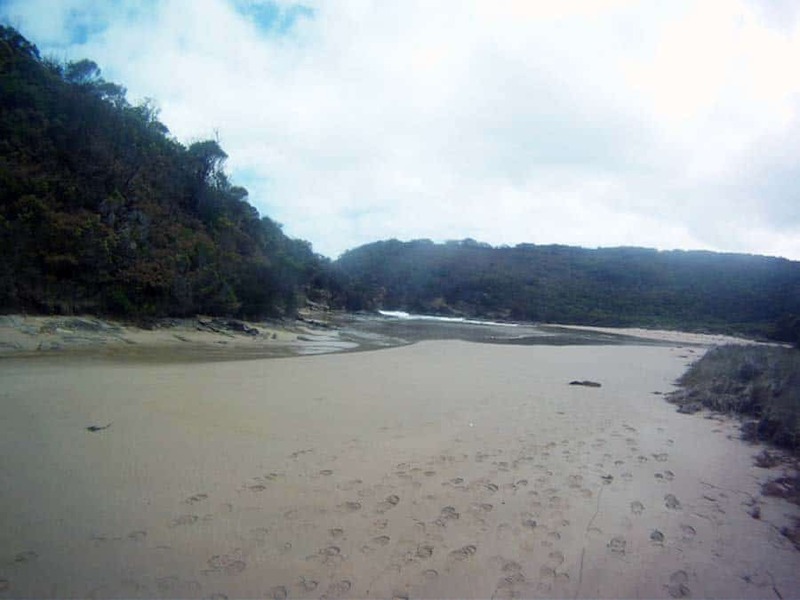 The Great Ocean Walk itinerary was excellent and flexible to meet our needs. The accommodation owners could have done absolutely nothing to improve our stay – they exceeded our expectations – hospitality was superb. The Great Ocean Walk itself was challenging in parts especially Day 2, however it was satisfying and a great sense of achievement. Our tips for Parks Victoria would be that they could have signposts along the way with kilometres to walk to next landmark. Make sure they were prepared to do the Great Ocean Walk with intensive training…….. maybe Walk 91 could offer a recommended training schedule to help. We also were highly appreciative of your assistance afforded me on Day 1 after leaving my back pack behind in the Bay. I came upon Walk 91 by searching the Great Ocean Walk on the Internet. We were very pleased with the itinerary and all went to plan. The walking package was fine. The map, walking notes, track information and brochures, accommodation, transfer arrangements were well organised and added to a very successful walk. The accommodation providers were exceptional. They were all very obliging, friendly with clean comfortable accommodation. I was pleased we rearranged our travel dates so we had the opportunity to stay at the Eco Lodge for 2 nights. They are doing some wonderful work there and we had some lovely conversations with the other residents who came from a number of other countries. We had no trouble finding the meeting spots each day. The Great Ocean Walk was stunning. The views and landscape were all we expected and more. 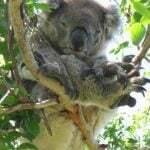 We also enjoyed the flora and fauna ( koalas, black swamp wallabies, 4 to 5 foot tiger snake, small unknown snake and my twitcher wife was particularly taken by the number and variety of the birdlife). You can commend Parks Victoria on the quality of the track. It was much more comfortable walking than expected so rather than watching ones feet all the time we were able to view the surroundings. One improvement (luxury) that could be considered is some additional seats at some of the major view points along the coast. The track notes were extremely useful and the background information of the walk was great to read. I had been researching the Great Ocean Walk online when my sister gave me a brochure from Walk91 she had picked up either from your shop or the Information Centre over the road. As my plan was just to walk each day – no camping and no cooking – it gave me some easy options. I thought the itinerary was great. The only decisions I had to make was how many days I wanted to walk over, catered or non-catered and the style of accommodation. I was looking for something that was already organised and this was. I think the Great Ocean Walk package is perfect as it is. There are lots of options and something that will suit most people. The accommodation owners – they were all fantastic. Both Frank & Katrina and Andrew & Maria were extremely welcoming and friendly. All the meals were amazing and I felt very spoilt. The Great Ocean Walk accommodations themselves were also great – beautiful locations, comfortable, great facilities – great places to relax after a day of walking. There was no difficulty in finding the meeting spots each day as I had the photos as a guide as well as a set location. I really enjoyed the walk. Apart from a bit of humidity and some rain on the first day I was lucky enough to have near perfect weather. I walked on my own the first 2 days which I enjoyed and then during the afternoons of the next 4 days I walked with my sister and 13 month old nephew – which I also enjoyed. The scenery was amazing, the well placed seats much appreciated, lots of bird and wildlife along the way – a beautiful area of the world. 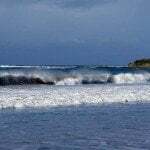 My tips: Just enjoy yourself:) Appreciate the amazing coast that we have, enjoy the scenery and leave only footprints as you pass by. Thank-you to Walk91 for the fantastic pre-walk information. The track notes were extremely useful and the background information of the walk was great to read. The breakdown for each day gave a good guide to what to expect each day – both distance and degree of difficulty. I had a wonderful time and discovered some places I can visit again and spend some more time exploring. We heard about Walk 91 on the internet via google search and in Vic Tourism Great Ocean Walk brochure. 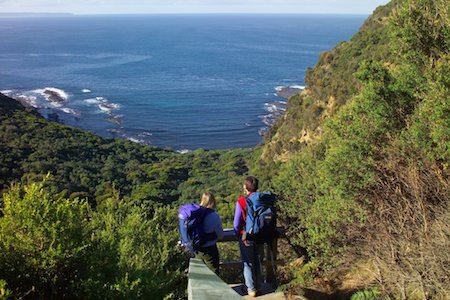 Thanks very much for putting together our 5 day self-guided Great Ocean Walk itinerary. It was great. Walk 91 organisation was excellent & we could not fault, including supplying walking poles and EPIRB. Everything went to plan and the accommodation was perfect. What a treat to arrive at these lovely places after a hard days walking. We thought the itinerary was very well laid out and planned and appreciated the attention to detail for each day in regards to the grading of the walk, distance, drop off and collection points, accommodation for each night and catering. The Great Ocean Walk pre-walk briefing covered all necessary details & we really appreciated use of walking poles and not having to bring ours on airplane. The extra benefit of the emergency location beacon personal Locator Beacons (PLB) / EPIRBs was beneficial even though not needed as sections of the walk are very isolated. We appreciated the flexibility of the shuttle pick-up drivers as we opted to start earlier due to warm weather. Additional benefit was more birds and wallabies on the track for first few hours. We would recommend is that the pickups be at 8am rather than 8.30am and likewise 7.30am instead of 8 am during daylight saving months especially. We found the walking notes and map a great reference each day on the walk. These were very well used each day. We found the meeting spots easily using the walking notes and especially the Parks Victoria map and Mark’s pre-walk talk. The accommodation providers made us very welcome and we enjoyed the packed lunches, and both places were very considerate of vegetarian requirements. We opted not to camp and did a B&B package. It was excellent – with very good accommodation and food (vegetarian) and lunch packs. While there was not distance markers we could gauge how we were tracking in relation to making the pickup times. And map was easy to read and navigate with. Also having mobile coverage was great assistance just to text location. 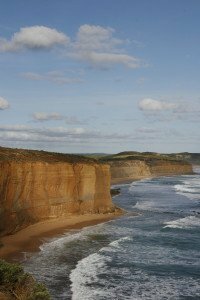 The Great Ocean Walk was wonderful and has left a big impression on us – especially on reflection back at home. The walk was great – challenging in parts, especially day 4, graded hard in the notes at 16km with all the steep uphill and downhill did seem endless around midday but it was an unexpectedly hotter day. We were always rewarded with fantastic views of the landscape and ocean. The walk was a very varied each day in vegetation, landscapes and views. Each day was unique and contrasted. The track is very well defined and has some great rest & lookout areas. There appears to be a lot of regular maintenance of the track. The scenery, vegetation and wildlife we encountered were stunning and the route is easy to follow being very well marked and maintained. For December the weather was very kind but we would recommend take more than 2 litres of water if doing 5 day itinerary. (Suggest 2.5 or 3 litres) We only saw one school group for about an hour on one of our days otherwise no one for the 5 days so there is a real sense of solitude. Remind people to pack compression bandage i.e. Setopress and whistle. Obvious items but I did not pack!!! We have done long distance walks in many countries and this one is up there with the best. The scenery and wildlife we encountered were stunning and the route is easy to follow being very well marked and maintained. 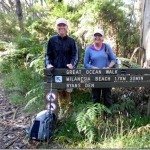 We did the great ocean walk in the first week of November and it was a fabulous experience. Being in our 60’s and from England we were concerned that it might be too hot on the walk but the weather was very kind to us. We have done long distance walks in many countries and this one is up there with the best. The scenery and wildlife we encountered were stunning and the route is easy to follow being very well marked and maintained. Due to the tide times we were able to do most of the beach sections and they were just beautiful. Most days we saw hardly anyone so there is a real sense of being out in the wilderness. Full marks to Walk 91 for their organisation, everything went to plan and the accommodation was perfect. What a treat to arrive at these lovely places after a hard days walking. Highly Recommended! We are really happy you enjoyed your Great Ocean Walk and hope that it was a highlight of your trip to Australia. The self guided walks are popular as you do not need a compass to complete the walk and the track is well constructed so it is easy to navigate. Therefore you can just relax whilst walking and enjoy the scenery. We had a wonderful time on the Great Ocean Walk. We were happy with the accommodation and all the pickups. Everything flowed well and we had no problems. However Parks Victoria could… Put in more kilometre markers. Put grip on some slippery bridges on the last day (I have already emailed them about these). Our tips are… don’t stick to the track – take the beach routes. Thank you for organising the package. Thank you for choosing us to provide your Great Ocean Walk self guided holiday. It was great meeting you and we are glad you enjoyed your hike. 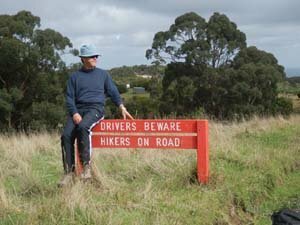 We have asked Parks Victoria in Apollo Bay for more signage and they have will improving that in the winter of 2015 with more up to date signage and detailed information boards. This will help give walkers a clearer idea of where they are on the Great Ocean Walk and the new updated map is also an essential tool to take with you on the Great Ocean Walk. Just a quick note from us to say yes Robyn did find her passport and all ended well. Really enjoyed the walk and thanks to both overnight stay hosts from us for you to pass on and to you and suzy for a well organised break. Go for it and have fun on your walk. If you are not exactly young in other words a bit older and only a recreational walker a bit of training would not go amiss. We did a few walks over Mt Coo-tha (Brisbane) and back and we had no difficulty on the great ocean walk itself. 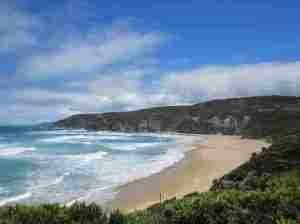 We found Walk 91 on Google – the great ocean walk. The itinerary was planned well. Walk 91 were very quick to respond & organize… great map & instructions. The Great Ocean Walk was wonderful, challenging on some of it which was great. We got amazing weather. Would be awful in the rain! Our tips are don’t do it in the summer. Great drivers, B&B awesome, staff, food & wine great. Thank you for exploring the ocean walk with us. You were lucky with the weather. Thank you for choosing us to plan your holiday!